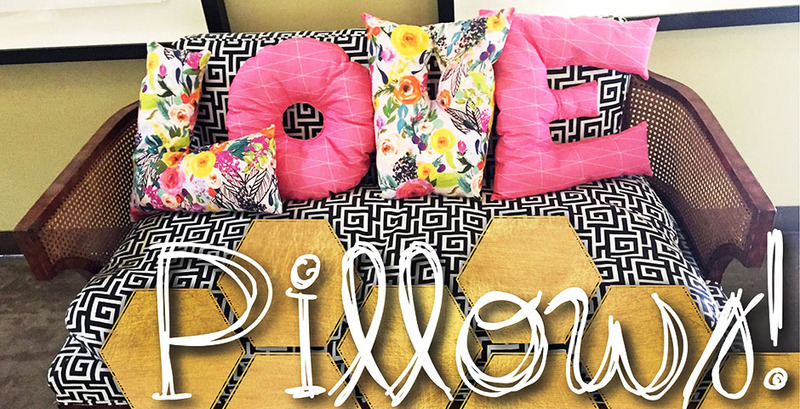 With custom fabric, you can create anything! 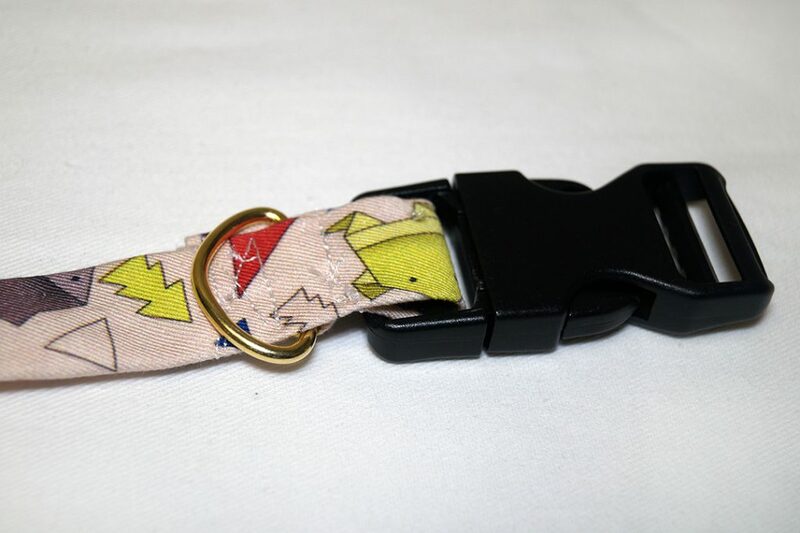 Make a fabric with your dog’s name or your phone number in case they go exploring and get lost! 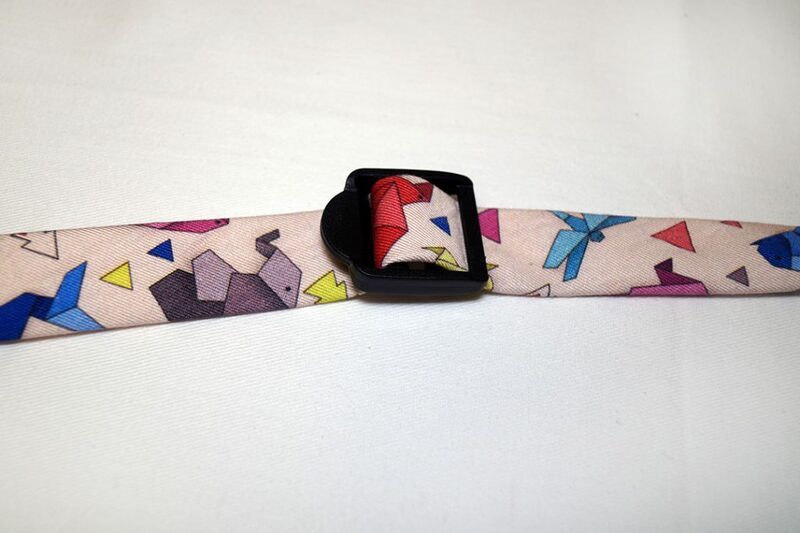 Or just choose your favorite pattern design and have it printed on your custom fabric! 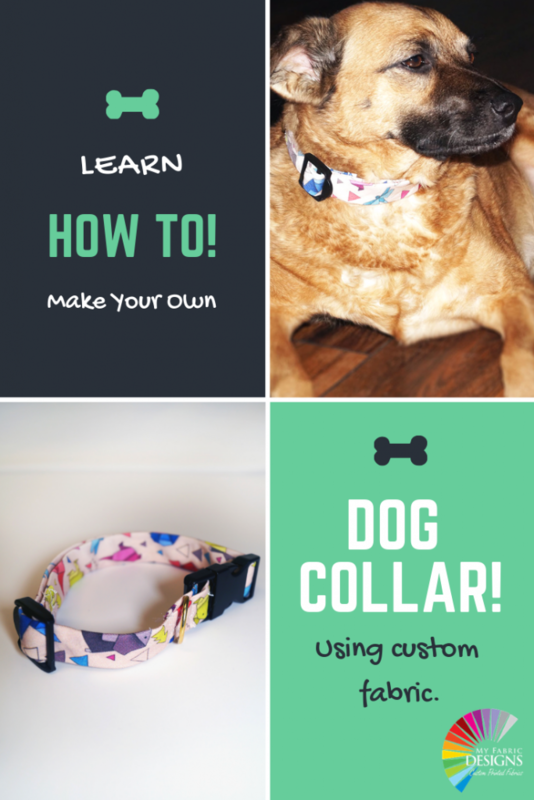 Follow along below to learn how to sew up your custom fabric into your own personalized dog collar! 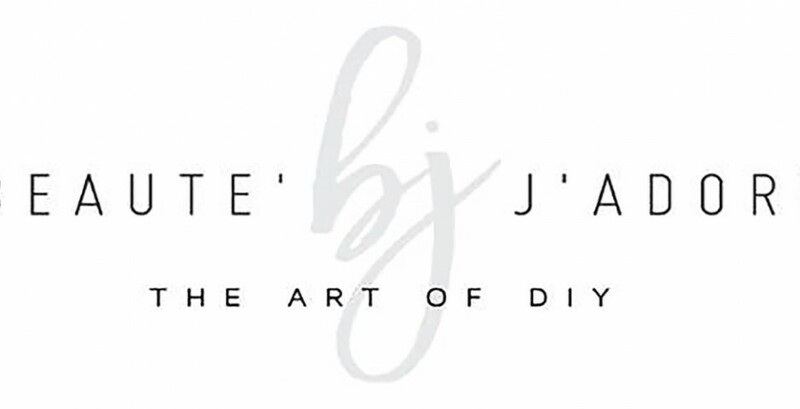 We used our heavy cotton twill for this project. 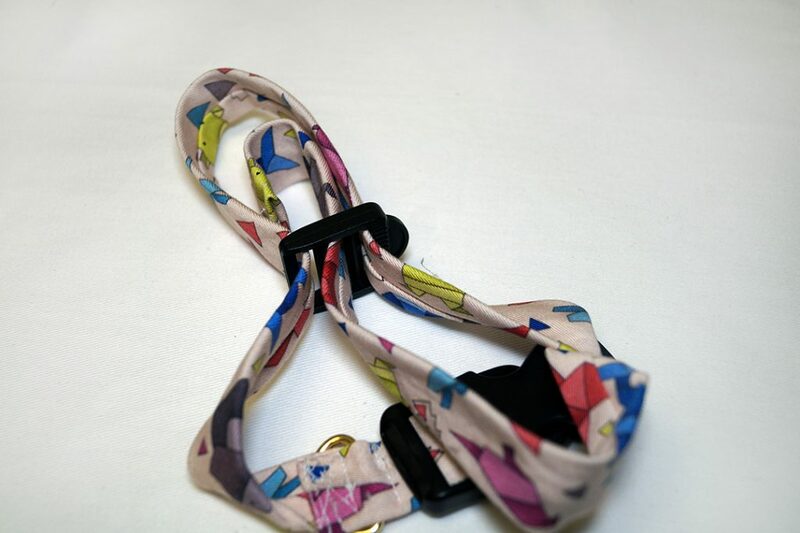 It is one of our most durable fabrics and works great for a dog collar! 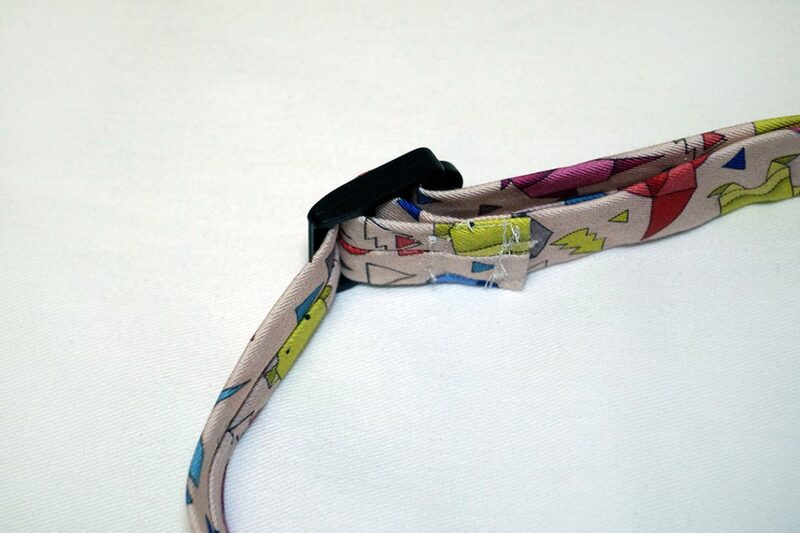 Our pup is a medium sized dog so we created a medium/large sized dog collar. 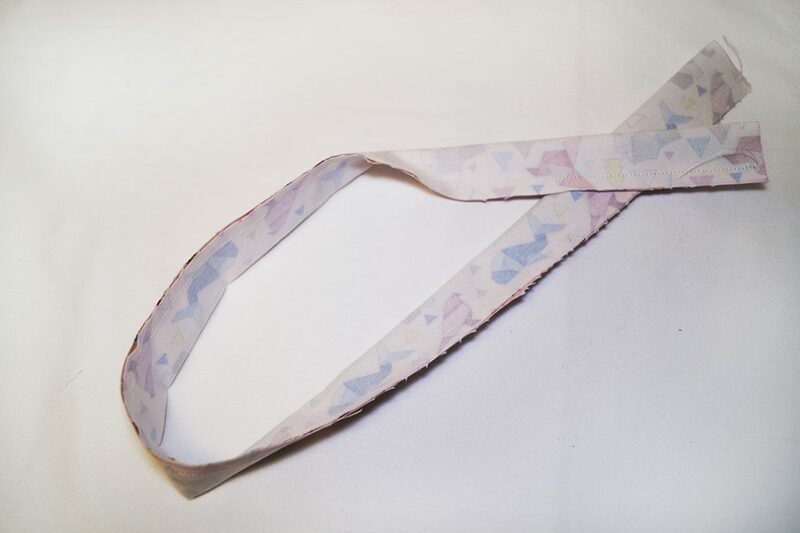 To make this size you will need to cut your material 28″ x 2 1/2″. 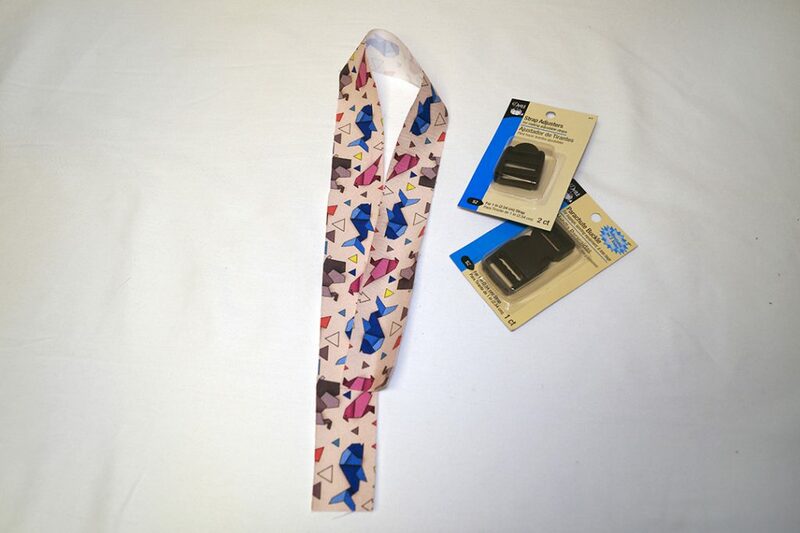 Next, we folded our fabric in half lengthwise and stitched the long end at 1/4″ seam allowance. Then we flipped the fabric right sides together and tucked both ends in, pressed flat and edge stitched the ends closed. 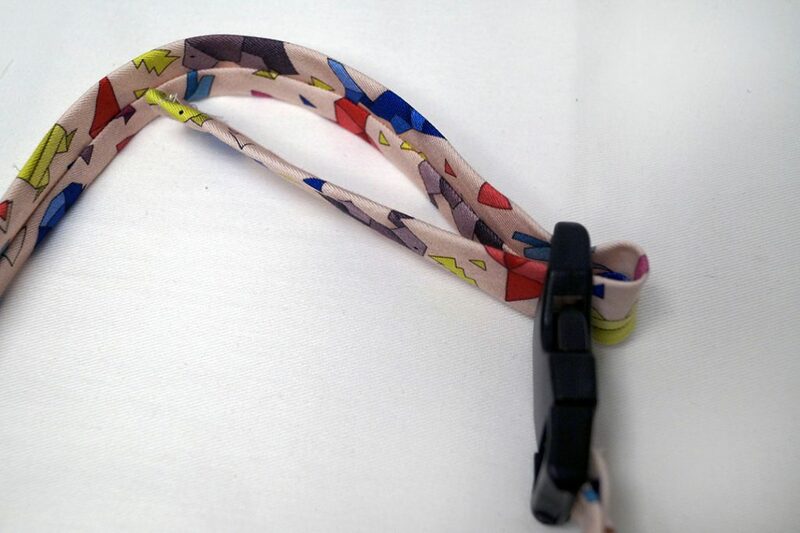 Next, we attached the end of the buckle leaving about an inch of the fabric at the end to attach the D Ring. 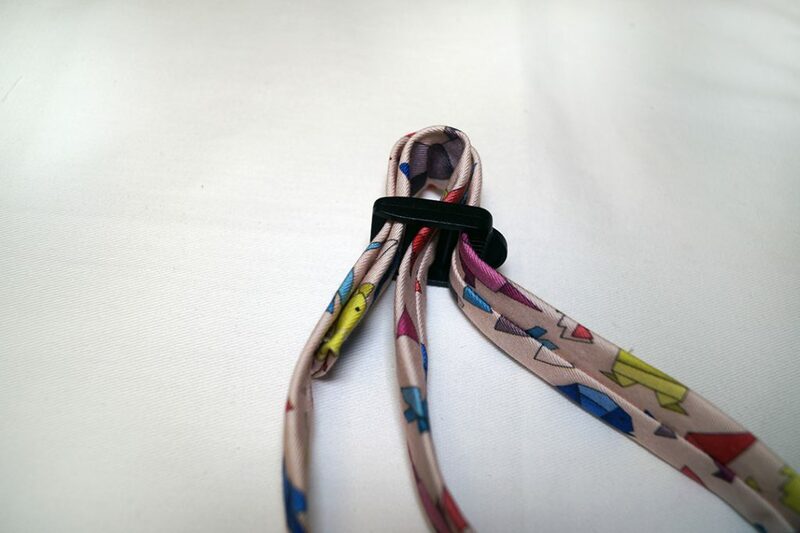 Simply slide the ring into place between the seam of the buckle and sew the other end down securing the ring into place. We chose to sew a box to give the ring extra stability since this is the location where the leash will be pulling. Now it is time to add the slider. First, you will weave the collar in the first slot and out the last. 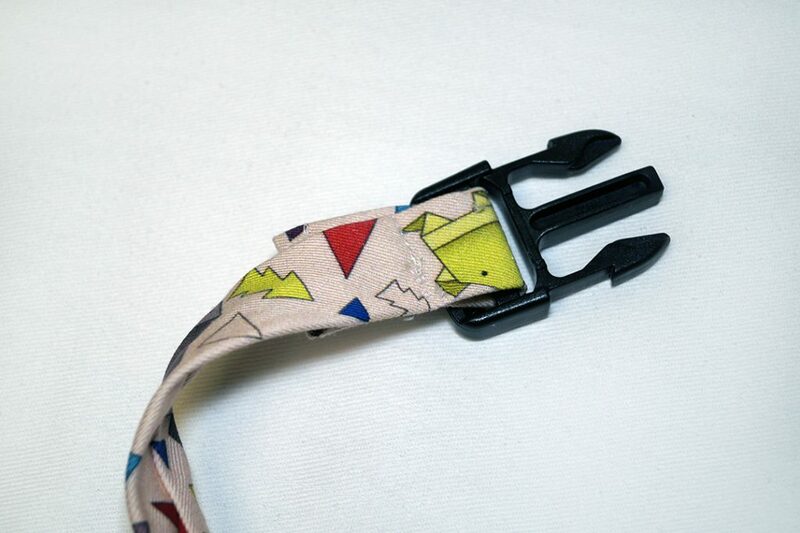 Then you will take the end of the collar and slide it through the other end of the buckle. Next, feed the end through the adjustable sliders middle slot. Next feed the end back through the last slot in the adjuster. Then you will fold the end back onto itself close to the adjuster and sew in place. 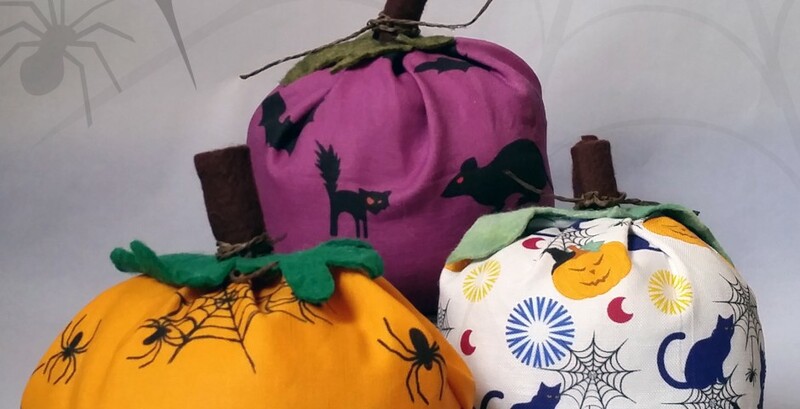 We recommend another box when sewing here for extra support. And voila! 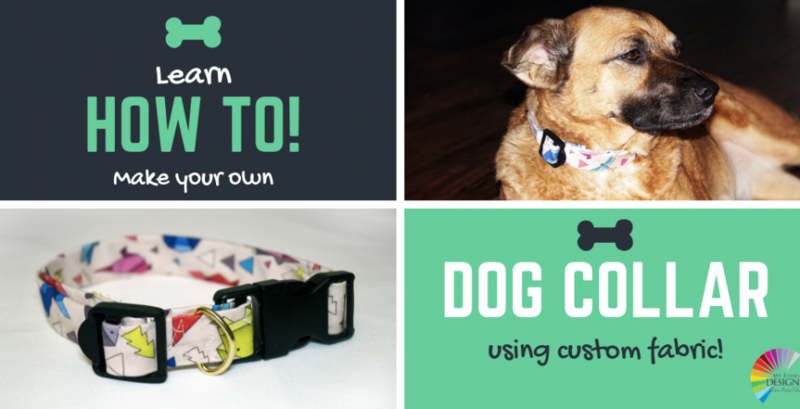 You have your very own custom dog collar! 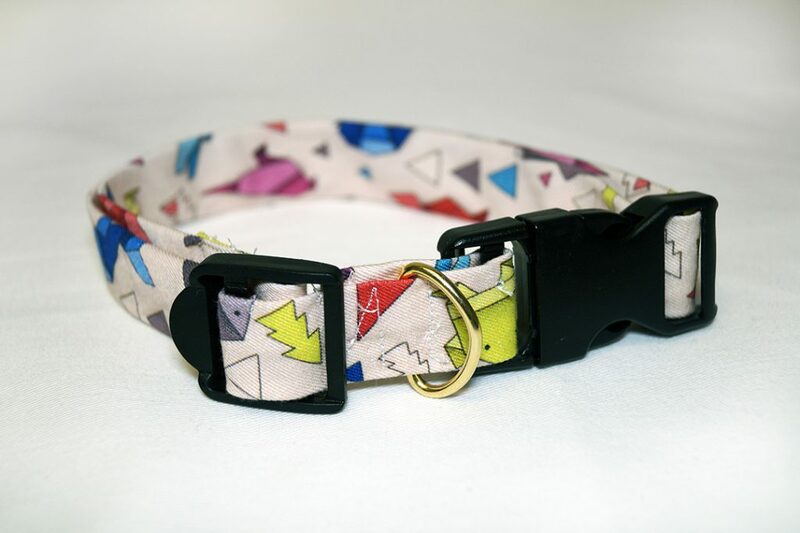 These are a cinch to make up and make perfect gifts for the pet lovers in your life! 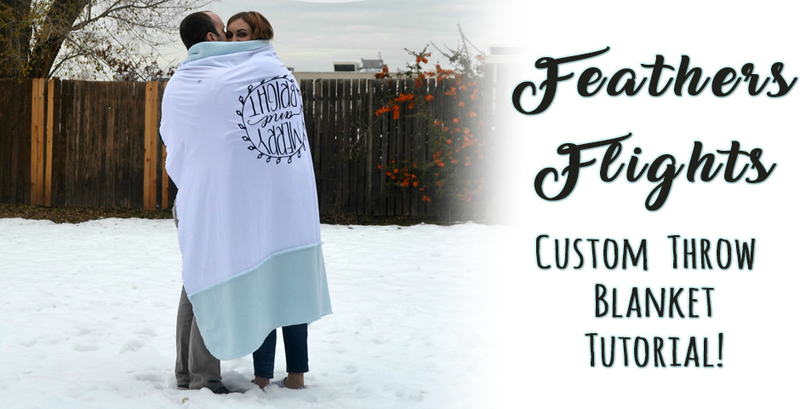 Like the fabric we chose? 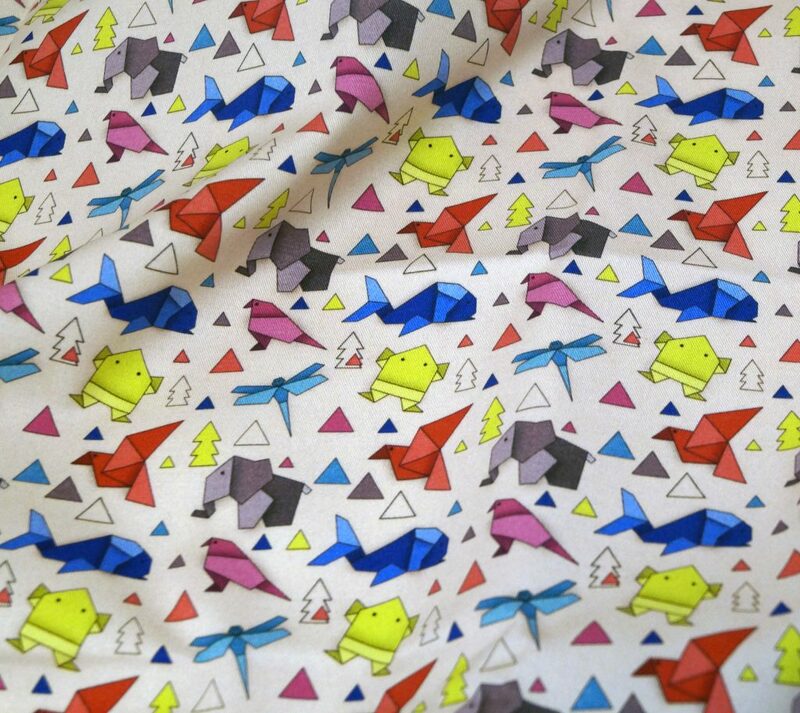 We had Origami-Animals by linziloop printed on our heavy cotton twill. 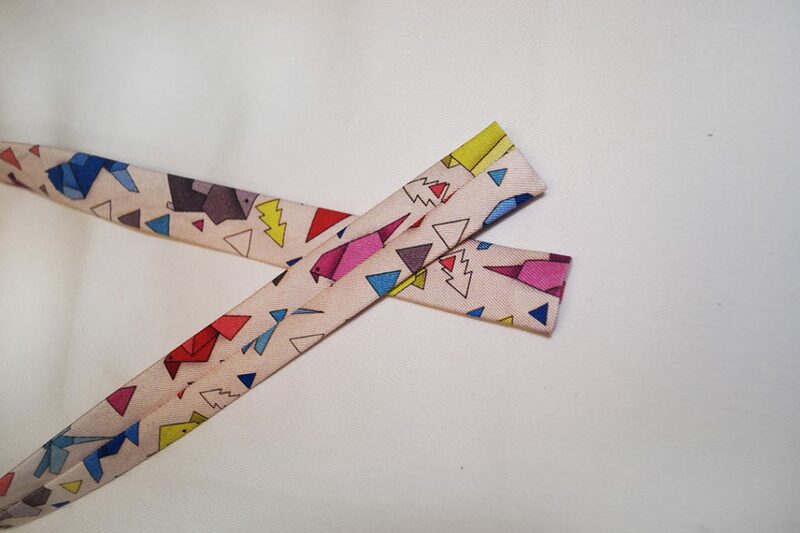 Get this design printed on any of our 29 fabrics for your next creation!